Over the last few months you have probably taken some amazing photos. But how many of them have you actually developed? Even the most disciplined photographers have hundreds of photos still trapped on their phone or digital camera. So we want you to free those photos. Find one amazing shot and turn it into a piece of art. You can choose any photo you like it’s up to you! Simply upload your best photo to our Best Photo competition gallery and you will be entered into the competition. NB You will need to have a high resolution version available for us to make the print from. 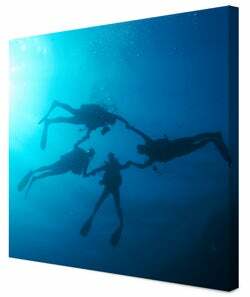 We have five x 57″x 37″ (145cm x 94cm) premium quality prints to give away worth £174.99. Competition ends 30 April 2012. Winners will be notified once the competition has closed. The judge’s decision is final. Closing date for entries is 30 April 2012! Only entries uploaded to the correct gallery on https://www.whatdigitalcamera.com/bestphoto will be entered into the competition. The image should be no more than 1,000 pixels along its longest edge. However a high resolution version will be needed in order to create the final canvas. Entrants should upload photographs to the https://www.whatdigitalcamera.com/bestphoto gallery as a jpeg, preferably sRGB, no more than 1,000 pixels along its longest dimension, in colour or black & white. The file name of your image must be your first and surnames. Copyright in all images submitted for this competition remains with the respective entrants. Where an image is used, the photographer will be credited. Images will only be used by What Digital Camera or Bonusprint, in connection with the promotion of the competition. All images will be credited. What Digital Camera may choose to showcase the images in an exhibition, on the web site or magazines as a means of promoting the competition. All images will be credited. Employees of IPC Media and Bonusprint, and their families, may not enter this competition. Prizes are as stated and no cash or other alternative can be offered to the prizes or overall prize. No money can be added to the overall prize. The overall winner will be chosen by the editor must claim his or her prize within 28 days of being notified. The editor’s decision is final and no correspondence will be entered into. Normal IPC competition rules apply. Competition details form part of these terms and conditions. Entry is open to residents of the UK and Republic of Ireland except employees (and their families) of IPC Media, its printers and agents, the suppliers of the prizes and any other companies associated with the competitions. The winner(s) must be aged 18 or over. Proof of identity and age may be required. Use of a false name or address will result in disqualification. No responsibility can be accepted for entries lost, damaged or delayed in the post. Winners are responsible for expenses and arrangements not specifically included in the prizes, including any necessary travel documents, passports and visas. Prizes are subject to availability and the prize suppliers’ terms and conditions. The winner agrees to the use of his or her name, photograph and disclosure of county of residence and will co-operate with any other reasonable requests by IPC relating to any post-winning publicity. The winners will be chosen from all correct entries received by the closing date stated within the promotional material. Winners will be confirmed via email. Reasonable efforts will be made to contact a winner. Failure to respond and/or provide an address for delivery within 28 days of email sent, or failure to meet the eligibility requirements may result in forfeiture of the prize. If they cannot be contacted within 28 days, or are unable comply with these terms and conditions, the Promoter reserves the right to offer the prize to the next eligible entrant chosen.